Firefly recently added this prestigious line of custom made devices from Allied OSI who are an American Lab that have been selling directly into the UK for a number of years. We have created a partnership distributor agreement and are the only licensed UK and Ireland distributers for this range of products. Shell technology has evolved and we have a new shell material called Performance RX which offers different levels of thickness at keys areas in the orthosis in varying degrees of flexibility i.e. 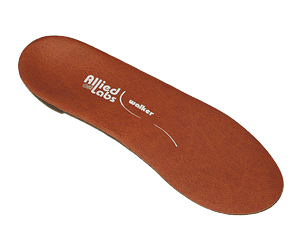 very thin under heel and at distal edge of devices while maintaining thickness under talo-navicular and medial longitudinal arch. Since their founding in 1978, it has been Allied OSI Labs philosophy to consistently provide professionals with superior products and services. 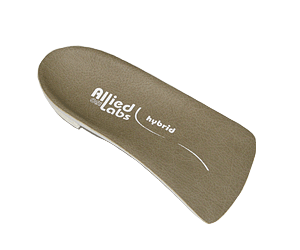 The Sharp Shape Automated Orthotic Manufacturing System (AOMS) has turned the art of traditional plaster expansion into an exact science. The foundation of their Lab is a very experienced and knowledgeable workforce. Maintaining a high level of technical expertise is critical to the business. 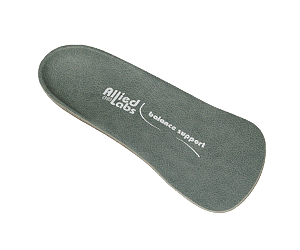 Allied OSI Labs is the co-founder of the Prescription Foot Orthotic Laboratory Association.